Ok Google, when is International Dance Day? Whether you want to hone your dancing skills with some practice or leave it to the experts by watching a video, your Google Assistant can help. We'll see you on the dance floor. This entry was posted in Official Google Blog and tagged Google Assistant on April 28, 2017 by Kara Stockton. A new episode of The Mobile Ads Garage has hit YouTube! If you haven't seen it before, The Mobile Ads Garage is a video tutorial series that covers how to use the Mobile Ads SDK to display ads from AdMob and Doubleclick for Publishers. Each episode covers one aspect of the SDK, breaks down the feature, and shows screencasts of real implementations on both Android and iOS – all in a friendly format. After hearing from publishers that you’d like a smoother path to integrating mediation, AdMob has worked with a bunch of network partners to open the source for their mediation adapters. For those of you unfamiliar with the our mediation platform, mediation adapters allow the Mobile Ads SDK to interface with third-party ad SDKs to fetch third-party ads on your behalf. Open source mediation adapters have a few key benefits. First, there are now two repositories on GitHub with adapter source that publishers can refer to for a look at the inner working of the adapters themselves. Second, it allows AdMob to take those adapters up to bintray, where they can be targeted with jCenter packages and CocoaPods. That means that instead of hunting down individual JAR files, publishers can simply add a line to their podfile or build.gradle, and get the adapter they need! Included in this video is a breakdown of the new resources, as well as screencasts of Android Studio and Xcode that show how to import adapters for several networks. If you like the video, save the Mobile Ads Garage playlist to your YouTube Playlist collection and you'll never miss an episode. We’d love to hear which AdMob features you’d like to learn more about. The comment sections for the videos are open, and you're welcome to share ideas for new episodes and examples you'd like to see. If you have a technical question relating to something discussed in one of the episodes, you can bring it to our support forum. Remember to stay connected on all things AdMob by following our Twitter, LinkedIn and Google+ pages. This entry was posted in AdMob Blog and tagged AdMob, AdMob Mediation, Mediation Adapters, Mobile Ads Garage on April 28, 2017 by Chris Jones. Start planning your Google I/O 2017 schedule! Whether you're joining us in person or remotely, we're looking forward to connecting with you at Google I/O, on May 17-19. It's the best way to learn about building apps for the Google Assistant, how to go from Zero to App with Firebase, all of the goodies inside Android O, and much more! The show kicks off at 10AM PDT on Wednesday, May 17 with the Google Keynote, an opportunity to hear about the latest product and platform innovations from Google, helping connect you to billions of users around the world. After that, we'll be diving into all of the ways developers can take advantage of this newness in a Developer Keynote at 1PM PDT. 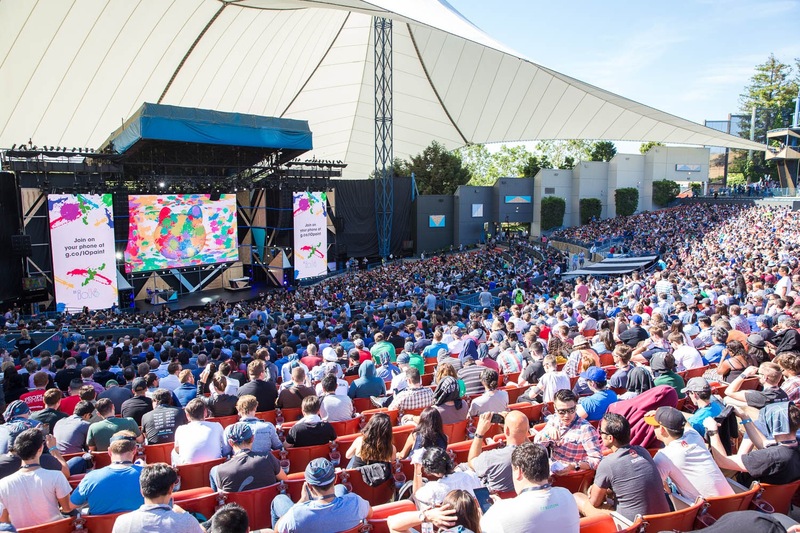 From there, the 14 tracks at Google I/O kickoff, with over 150 technical sessions livestreamed (i.e. all of them!) at google.com/io. We've just published more talks on the I/O website, so you can start planning your custom schedule ahead of the conference (shhh! we've got a few more sessions up our sleeve, so don't forget to check back directly after the Developer Keynote). You can also take advantage of Codelabs - self-paced tutorials on a number of technical topics to get you up and running with a Google product or feature. These Codelabs will be available both to those who are joining us in person at Shoreline, and online for those of you tuning in from around the world. More details will be available on the schedule soon. We received a lot of great feedback from attendees last year, and have been working hard since then to make sure this is the best Google I/O, yet. To help make it easier to attend your favorite talks and minimize lines, you'll be able to reserve seats across sessions before I/O starts. But don't worry, we're saving a few seats in each session that will be available on a first-come, first-served basis onsite. We've also increased the size of each of the tents this year, giving you more opportunities to see all of your favorite talks in-person. Finally, we've doubled the number of Office Hours available, since you told us that being able to connect directly with Googlers to get your questions answered was extremely valuable. On top of that, all of the sandbox demo areas will be inside climate-controlled structures, making it easier to avoid the elements (but don't forget to bring your layers – Shoreline Amphitheatre is still an outdoor venue, after all). See you in 3 weeks! We're looking forward to seeing you in just a few weeks. We've got a few more updates to share before then; be sure to check out the Google I/O website for more details, or follow the conversation using the #io17 hashtag. This entry was posted in Google Developers Blog and tagged #io17, codelabs, Google+, I/O, I/O 2017, I/O Extended, IO2017, keynote, office hours, sessions, Sundar Pichai on April 28, 2017 by Google Devs. What did Saturn say to NASA this week? “High Five.” Here’s a look at a few of the top trending Google searches orbiting the week of April 24. Maybe we’re amazed that Paul McCartney is still touring—that guy is Here, There and Everywhere! It’ll be a Hard Day’s Night on the road, but fans twisted and shouted when he announced his 2017 tour dates this week. Though you can’t buy his love, you can buy a ticket to his show. And fans are itching to get those tickets, with questions like “How much are Paul McCartney tickets?” and “When do tickets for Paul McCartney go on sale?” Let it Be soon. This Saturday marks President Trump’s 100th day in office, and the first few months of his administration have prompted people to learn more about political concepts and processes. The five most-searched terms related to politics during Trump’s first 100 days are “recuse,” “filibuster,” “vetting,” “executive order” and “immigrant.” Another fun fact to bring to your political debates this weekend: the most-searched names alongside the phrase "Trump handshake”: Justin Trudeau, Angela Merkel, Neil Gorsuch, Shinzo Abe and Benjamin Netanyahu. NASCAR legend Dale Earnhardt Jr., is at the finish line—he announced he will retire after the 2017 season. Fans are curious about when and why he is retiring and “Who will replace Dale Earnhardt Jr.?” Though he’s known nationwide, southern regions in the U.S. searched most for Earnhardt this week. Top states included North Carolina, West Virginia, Tennessee, Alabama and South Carolina. This entry was posted in Official Google Blog and tagged Search, Trends on April 28, 2017 by Elisabeth Leoni. This entry was posted in Inside Search Blog and tagged Google Search, Seach, Search, Search Engine, Trends on April 28, 2017 by Elisabeth Leoni. Nothing is more annoying than losing your Wi-Fi connection when binge watching your favourite TV show or video chatting in a business meeting. From spotty connections to dropped signals, leave your Wi-Fi troubles behind with the help of Google Wifi, launching today in Canada. Google Wifi is a new kind of home Wi-Fi system that works with your modem and internet provider to give you strong, reliable coverage, in every room. Traditional Wi-Fi routers aren’t always built to support the increasing number of devices we use or high bandwidth activities like gaming or watching videos. Google Wifi is different. 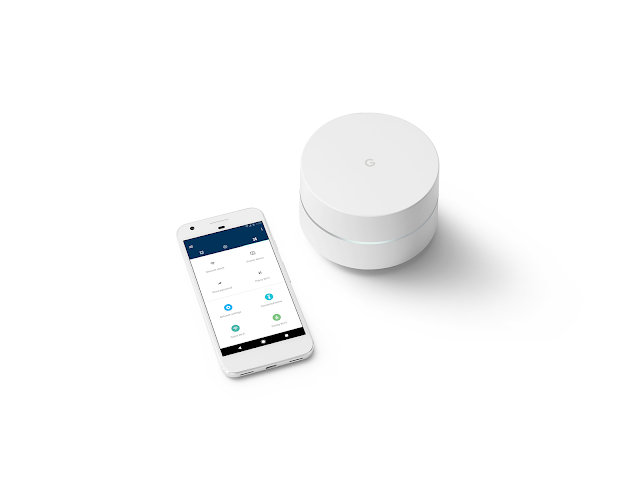 It’s a connected system that replaces your current router and brings everything you love about Google -- smarts, security and simplicity -- to home Wi-Fi. Most of us don’t want to spend time tweaking complex settings or managing our Wi-Fi network. Google Wifi is smart and automatically places your devices on the clearest channel and optimal Wi-Fi band, so the entire family can keep doing what they love without missing a beat. And as you roam around your house, our built-in Network Assist software will seamlessly transition your device between the Google Wifi system points in real time, to help you avoid dead spots and delays. Google Wifi is an expandable system, so if you have a larger home, you can simply add Google Wifi points. 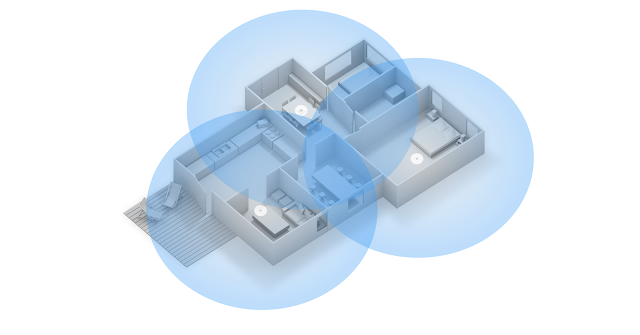 * They connect to one another to spread a strong network signal to every room. To make sure you’re always in control, Google Wifi comes with an app, available on Android and iOS*, that lets you do things like pause Wi-Fi on kids’ devices (or create recurring pauses for dinnertime or homework) and is built to help keep your network safe and secure. It also shows you which devices are connected and how much bandwidth they’re using and lets you prioritize devices within your network so you can stream that latest episode uninterrupted. Google Wifi will be available in Canada on April 28th as a 1-pack for $179 and a 3-pack for $439 from the Google Store, Best Buy Canada, Staples Canada and Walmart Canada, with more retailers coming soon. 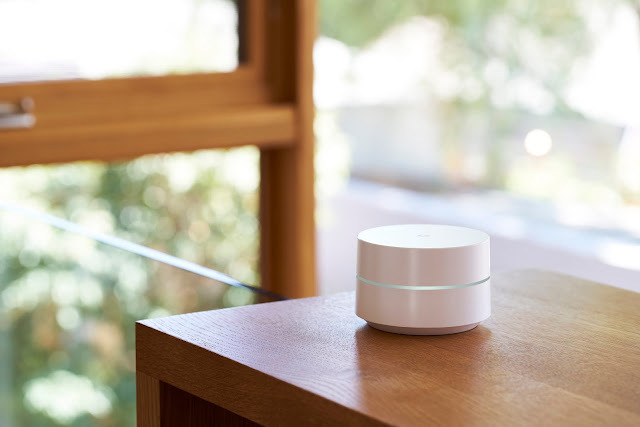 Find out more about Google Wifi here. *Home materials and layout can affect how Wi-Fi signal travels. Homes with thicker walls or long, narrow layouts may need extra Wifi points for full coverage. Google Wifi requires broadband Internet. Strength and speed of signal will depend on your Internet provider. Each Wifi point requires a nearby electrical outlet. The app requires a mobile device with Android 4 and up or iOS 8 and up. This entry was posted in Google Canada Blog and tagged Availability, chromecast, Daydream, Google Canada, Google Wifi, GoogleWifi, Made by Google, madebygoogle, Pixel, Product, product launch on April 28, 2017 by Aaron Canada. YouTube NextUp is back in India — enter now for a chance to be a part of NextUp’s Class of 2017! Whether you are passionate about sharing your recipes with the world like Kabita's Kitchen, or are a tech whiz like Technical Guruji, YouTube is committed to supporting you at every step of your creator journey. As a part of our quest to hone the next generation of talent on YouTube, we are bringing back the YouTube NextUp program across YouTube Spaces globally this year — and yes, it is back in Mumbai. Last year in 2016, NextUp made its debut in India, where 30 winners were selected from a diverse group of entries that surpassed boundaries of language, region, or content genre. We hosted the winners at YouTube Space Mumbai at Whistling Woods International for a week long creator camp where they learned about production techniques, participated in scripting workshops, collaborated with other creators, and had a lot of fun making new videos. As you can see, NextUp has helped many creators turbocharge their channels and expand their online presence. Last year’s NextUp alumni such as Sejal Kumar & Ur Indian Consumer (among others) walked the YouTube FanFest red carpet for the first time and Mumbiker Nikhil even performed on stage in front of 7500 screaming fans in Mumbai. Sign up for NextUp to see if this can be you! So who’s NextUp? We’re looking for passionate and motivated YouTube creators who are ready to create more compelling stories with better production skills; those who are seeking mentorship from production and channel development experts, and eager participants looking for an opportunity to collaborate with talented creators and be a part of the global NextUp community. To enter the India YouTube NextUp contest, see full details (including the eligibility requirements and contest rules) at youtube.com/nextup. We’re excited to see what you’ll come up with! This entry was posted in Google India Blog and tagged India, YouTube, Youtube NextUp on April 28, 2017 by A Googler.